BRYAN EATON/Staff photo. 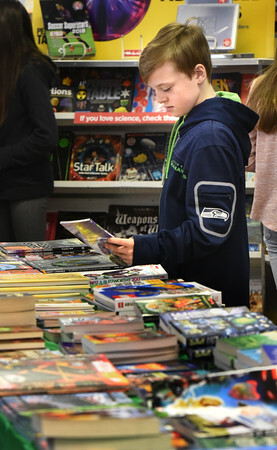 Keegan Koch, 11, checks out the offerings at the book fair at the Pine Grove School looking for books on sports or fiction titles. The event is sponsored by the Student Activities Club and raises money for the school's library.